Labor chairman Avi Gabbay appoints MK Shelly Yachimovich to replace Livni as head of the opposition. Labor chairman Avi Gabbay on Tuesday evening appointed MK Shelly Yachimovich as leader of the opposition instead of Tzipi Livni, following the dissolution of the Zionist Union. Gabbay noted, "I am proud of Shelly, an excellent MK who leads determined struggles in the Knesset and beyond. Shelly is an example of a public emissary who is committed to change." "In the past, she fulfilled the role of leader of the opposition with determination and in the best way possible. We are ready for elections and for victory," Gabbay added. 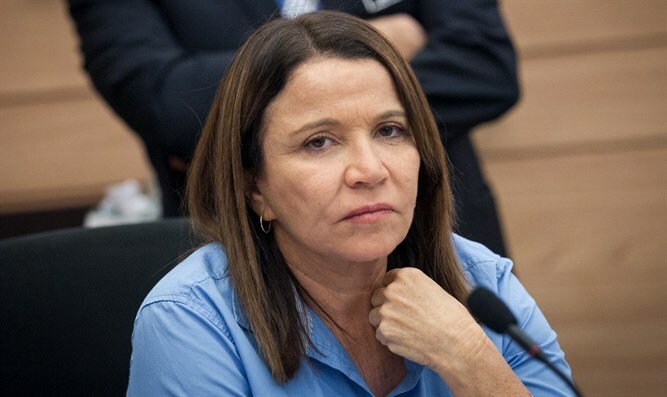 Earlier on Tuesday, the Knesset House Committee approved the splitting of the Zionist Union faction to two separate factions, Labor and Hatnua. The move followed Gabbay’s bombshell announcement that he was ending the partnership between Labor and Hatnua. Livni, who was sitting next to Gabbay during the announcement, had not been informed of the Labor leader's plans ahead of time. Gabbay appeared to criticize Livni’s faction during his announcement, saying that the partnership between the two parties had failed to “lead to real growth” and suggesting Livni’s party had failed to “stand by agreements”. Later, Livni tweeted a message directed at supporters, vowing to carry on despite the termination of Zionist Union joint list. “Thank you to the callers, the SMS senders and the supporters. It is good that the doubts have been dispelled and we can focus on the important national challenge we face, all those who believe in the truth of our path - a revolution [will be coming] in the upcoming elections,” she wrote.